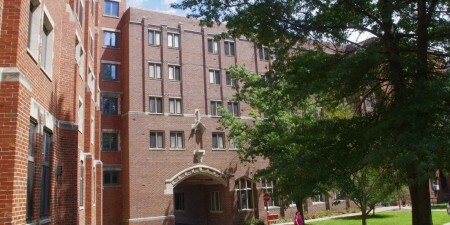 DeChantal Hall, Seton Hill's newest residence hall is located adjacent to Farrell Hall. This hall is named for Sister De Chantal Leis (“Dish” to her students), a Seton Hill alumna, former dean of students and Seton Hill’s first director of alumnae relations. The two-story hall has six-person occupancy suites and houses more than 100 students. 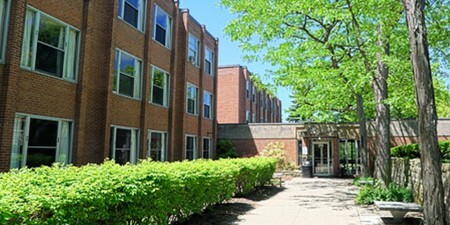 Two resident assistants and one Seton Hill residence life professional also live in the building. 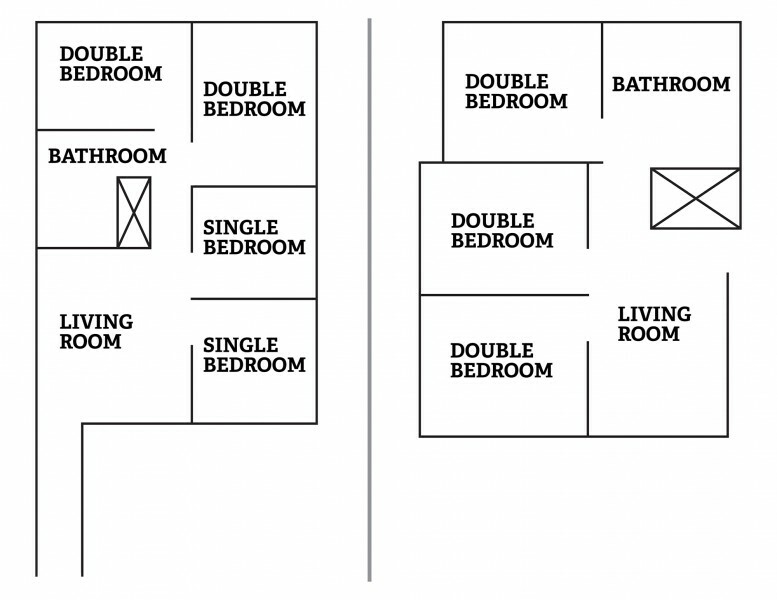 Each suite contains a couch, end table, lamp and chair for the living room. Each student has a bed and mattress, wardrobe, desk and chair and a chest of drawers. Each suite has its own living room and bathroom/shower facilities. Living room dimensions: 11'6" x 15'5"
Drawer dimensions: 3' x 2' x 6"
Window dimensions: 46 ½" x 46 ½"
Dresser dimensions: 35" x 45"
The 1st floor includes student mailboxes, a large lounge and a printer. The 2nd floor includes a large lounge featuring study, recreation and kitchen facilities and laundry facilities.